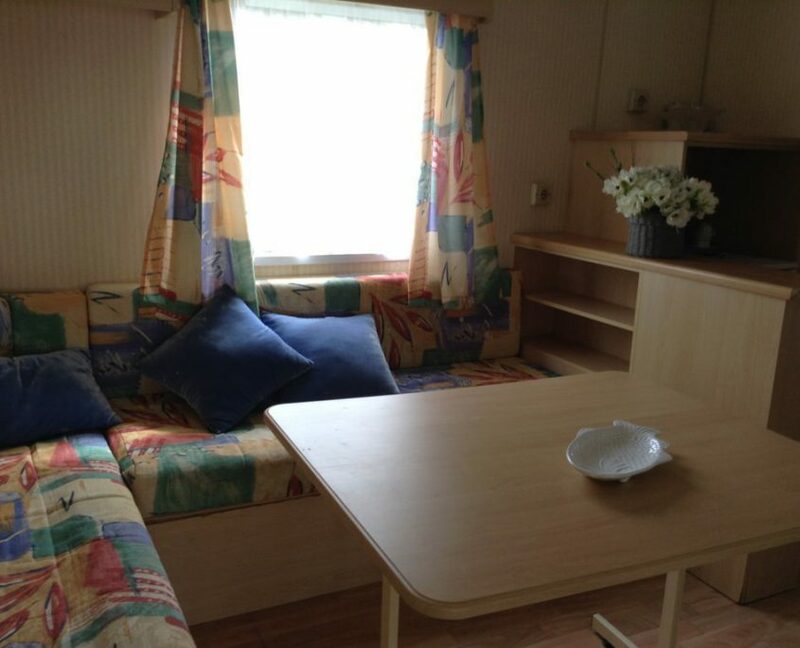 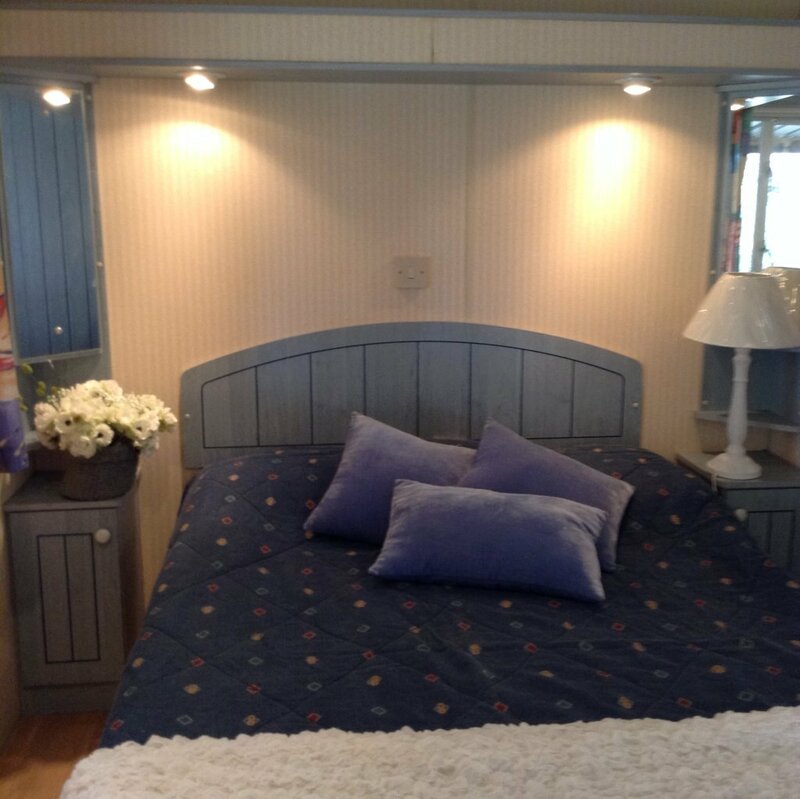 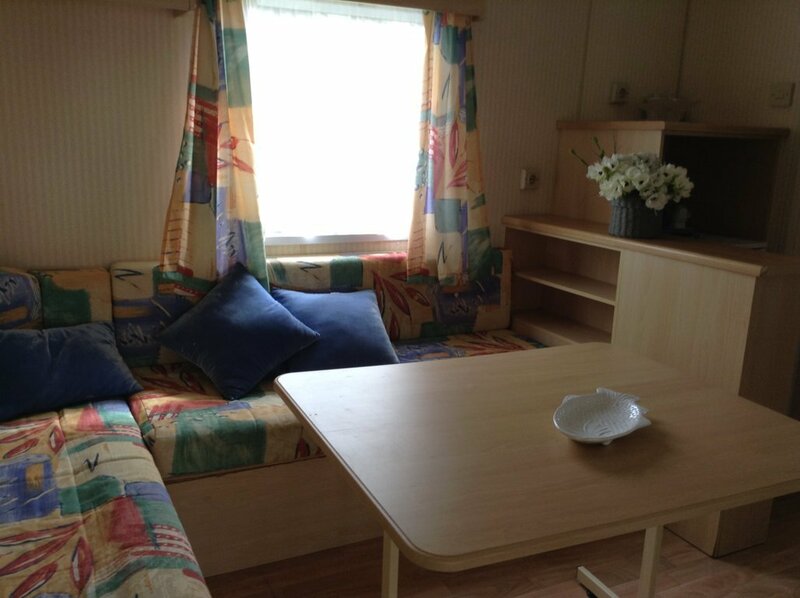 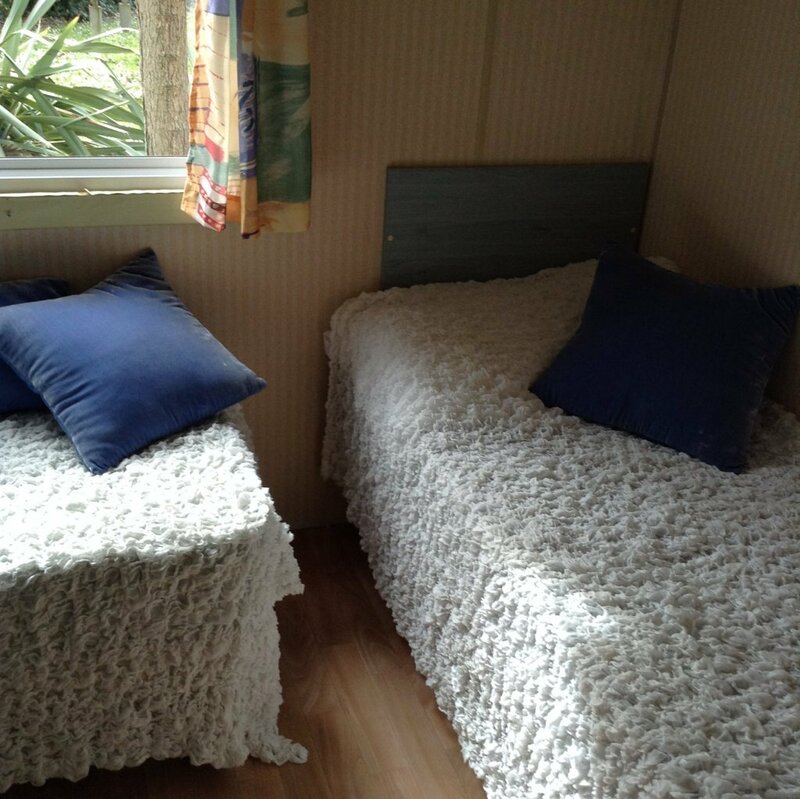 The mobil-homes, furnished with taste and functionality, are composed of a living room with sofas, table, chairs, fridge, kitchenette, pots and pans; a bedroom with two beds and a double bedroom (with blankets). 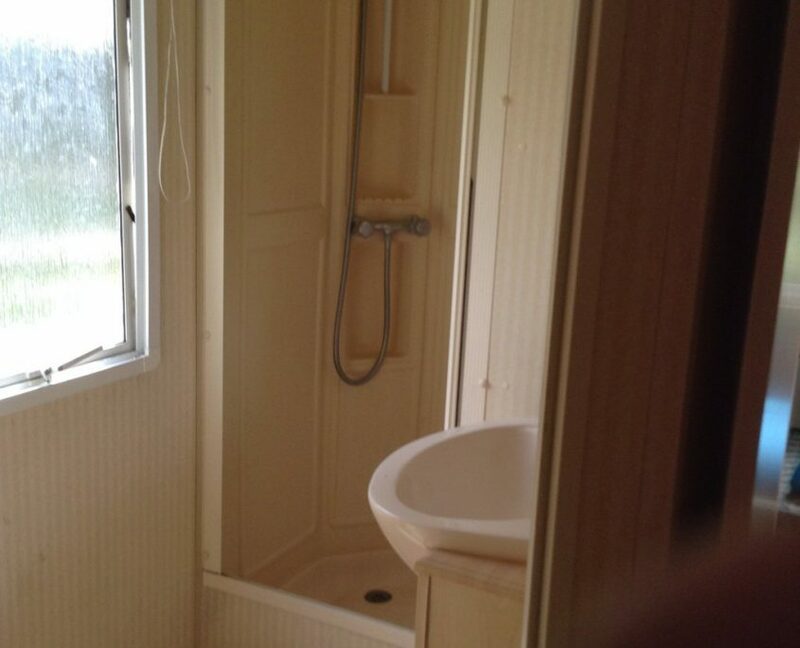 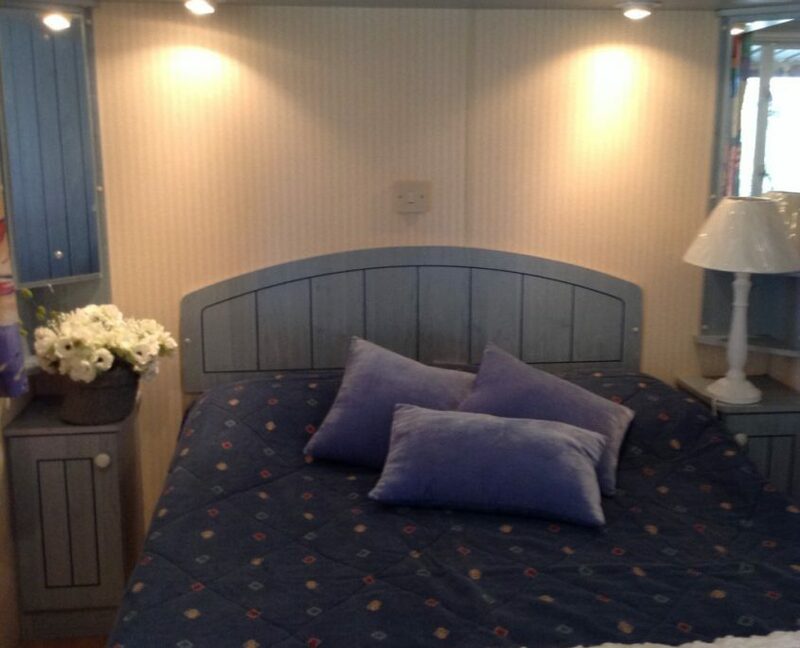 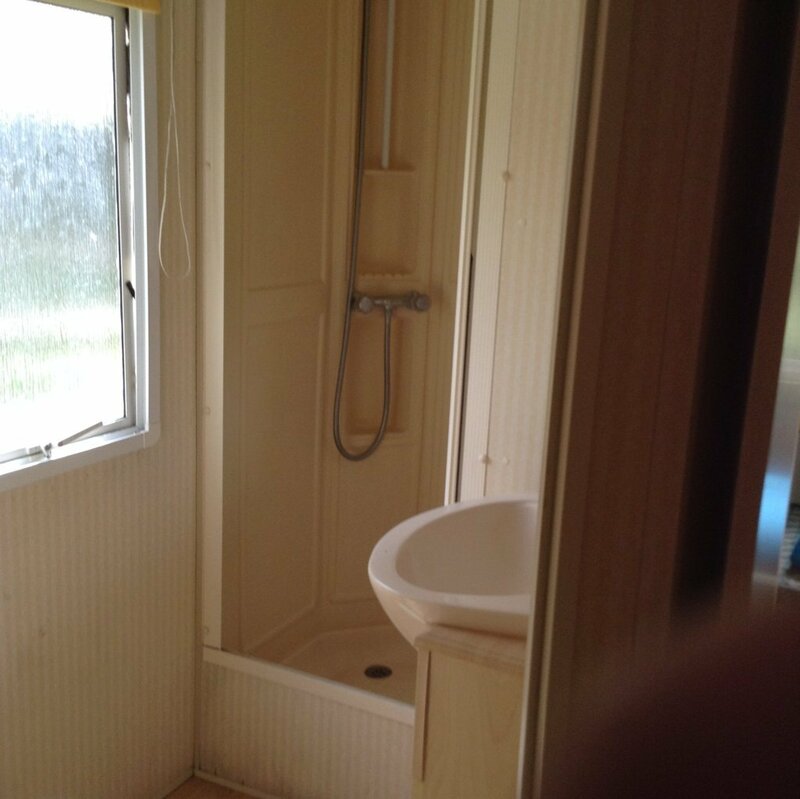 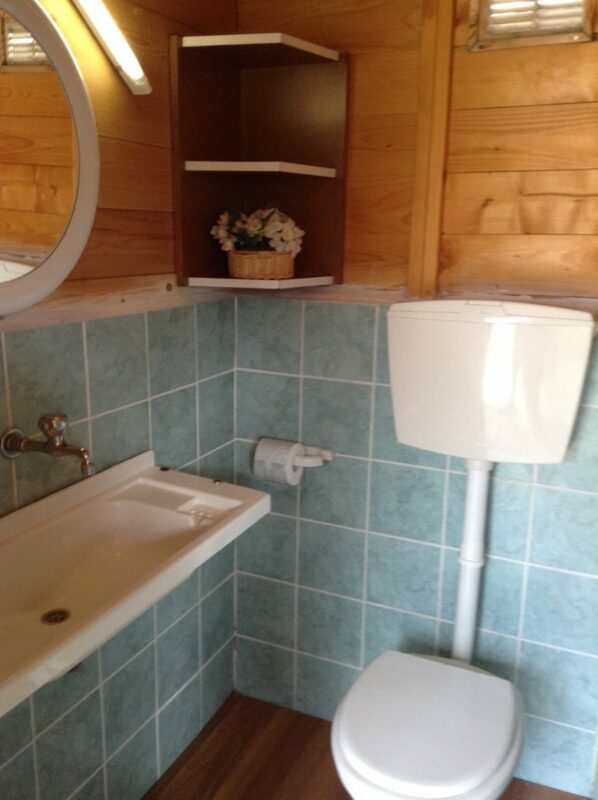 Toilet with hot shower, mosquito nets in the bedrooms, equipped veranda in the surrounding garden of approx. 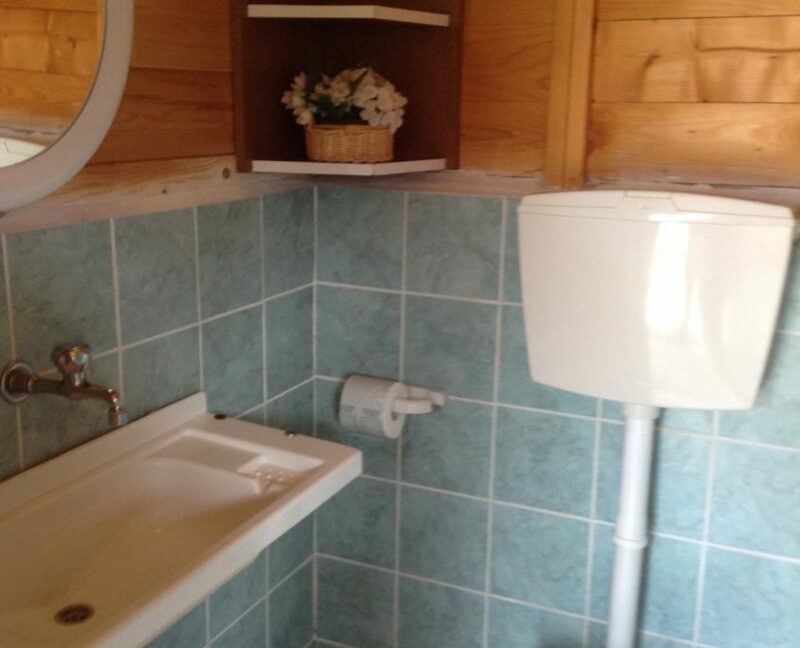 200, satellite dish (excluding decoder and TV). 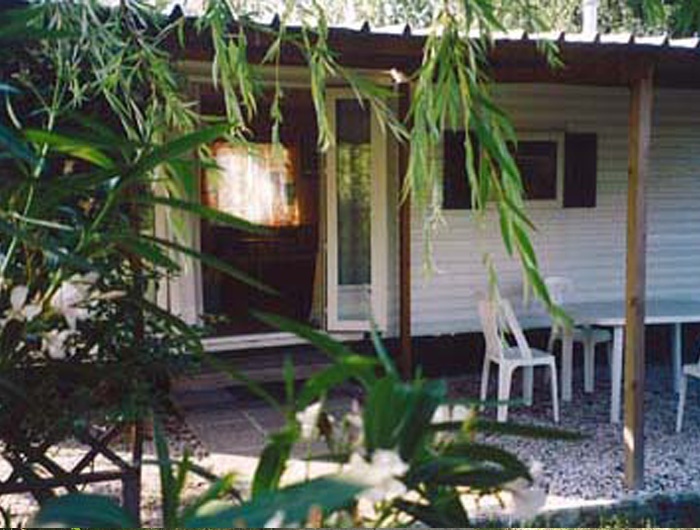 Domestic pets of any size are not allowed inside the mobile home. 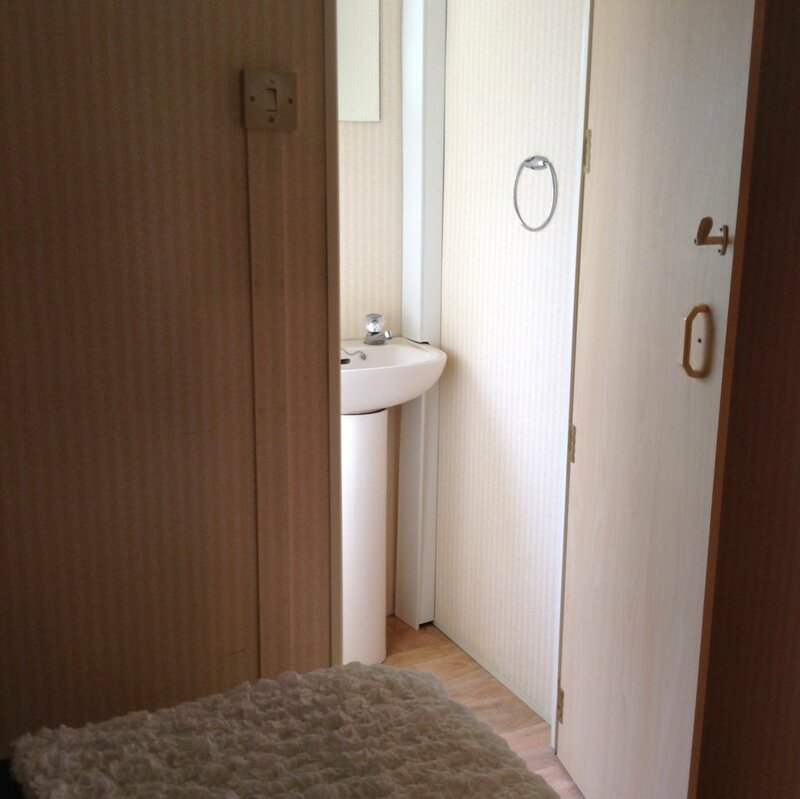 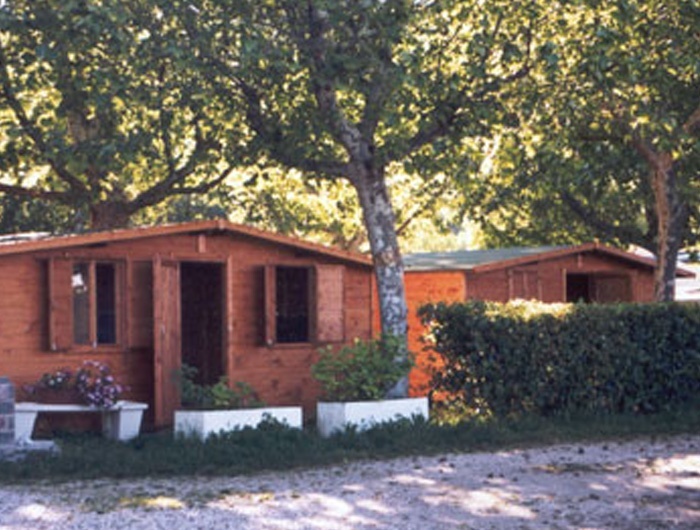 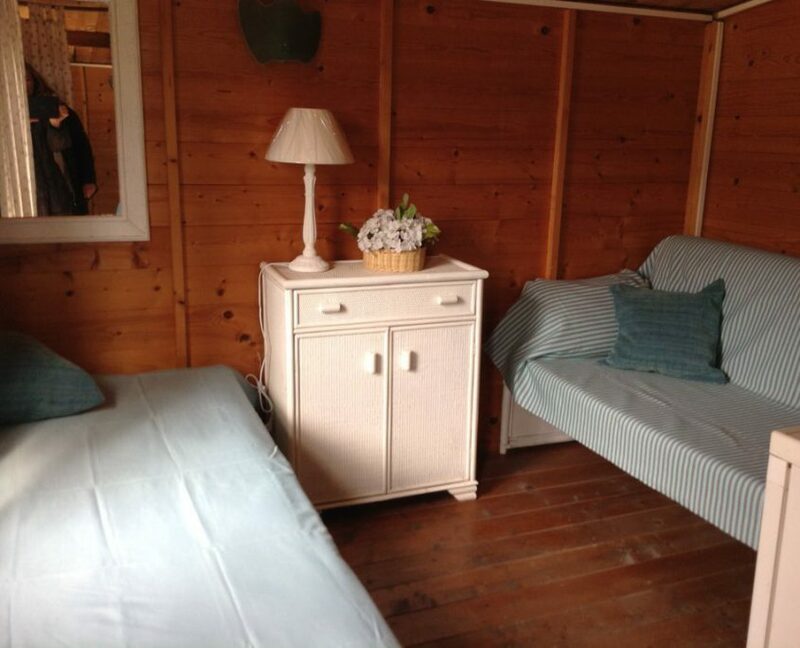 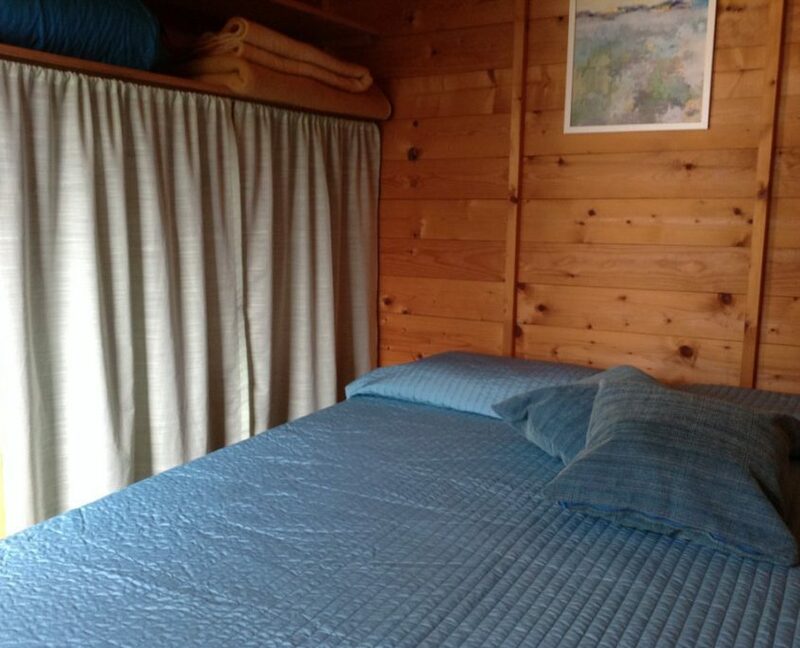 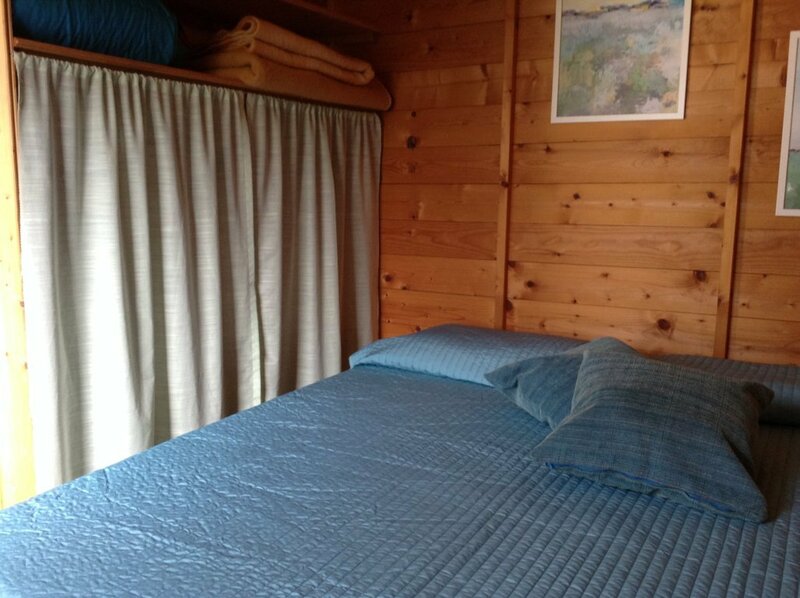 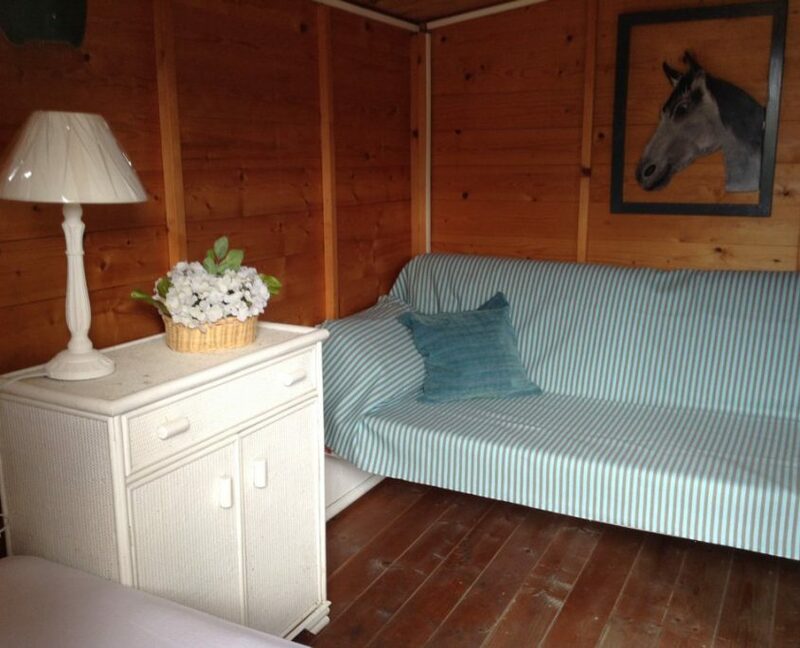 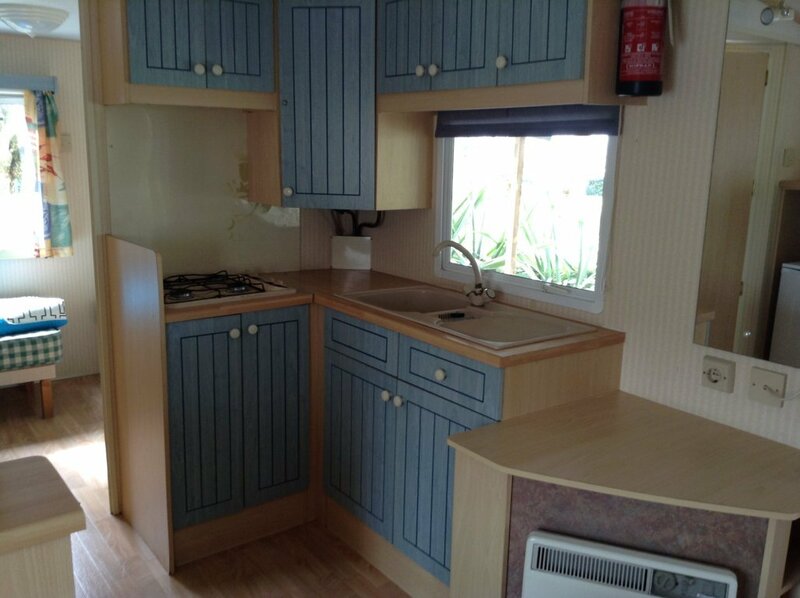 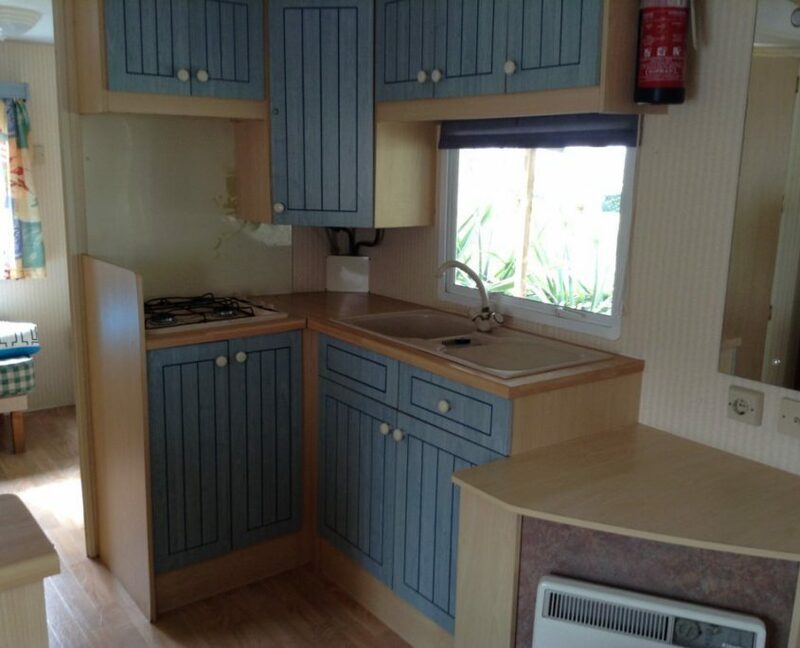 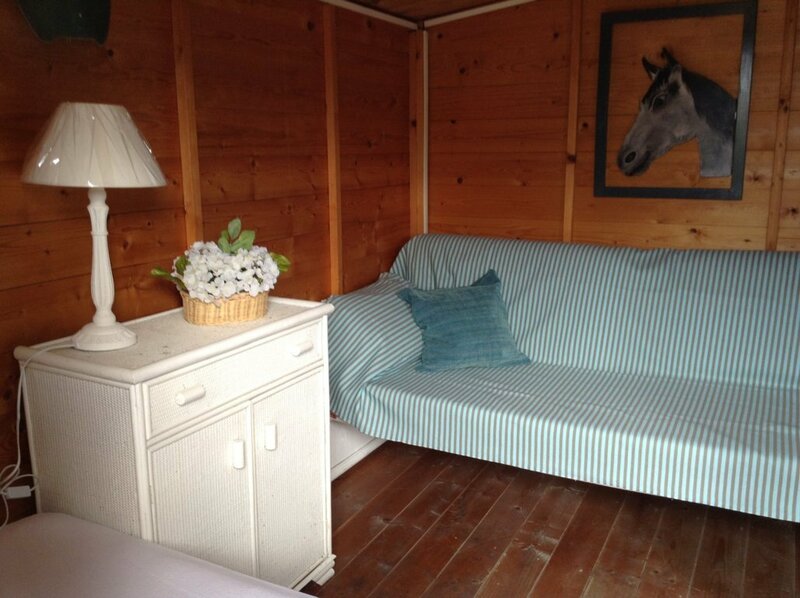 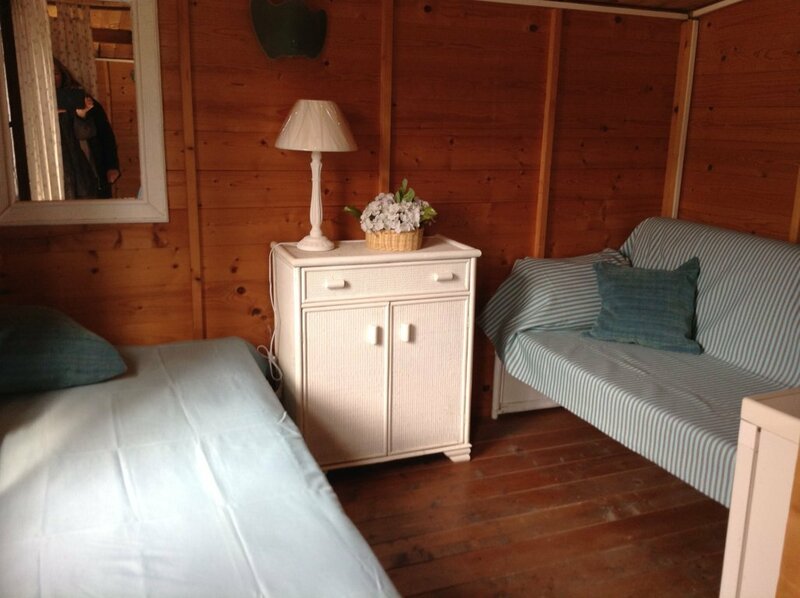 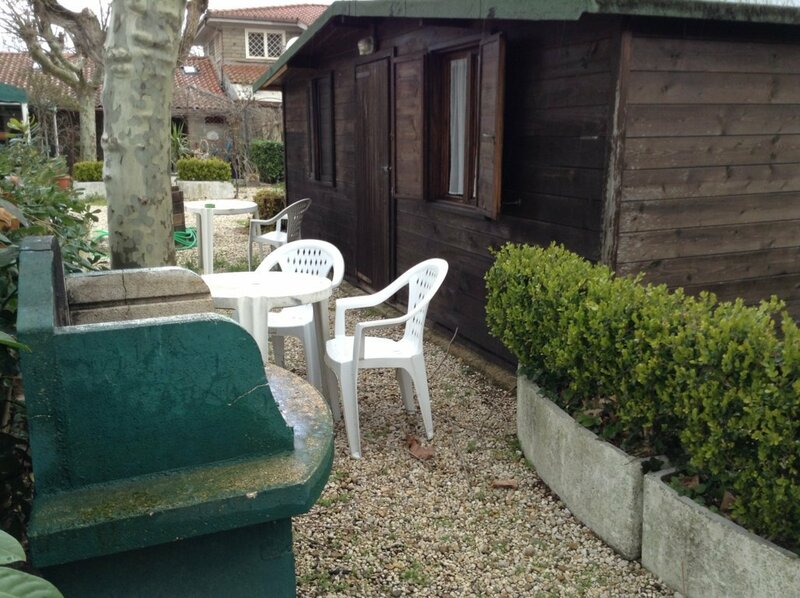 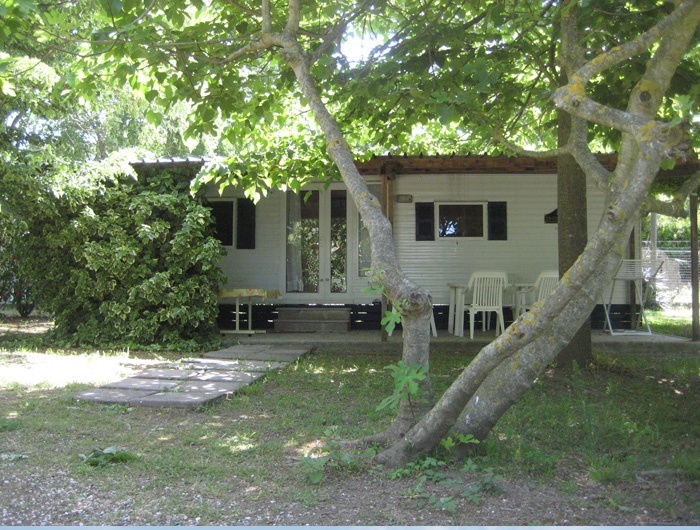 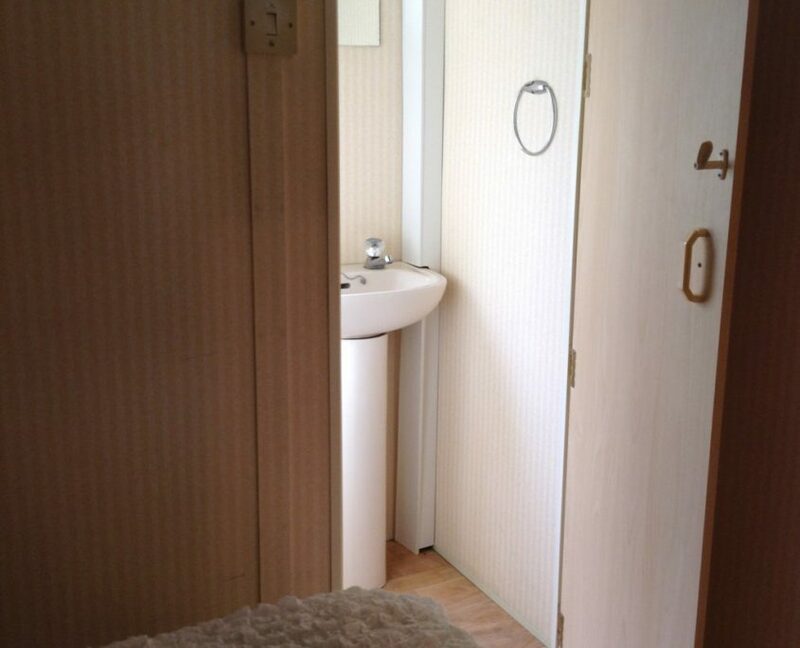 Delightful wooden chalets, made up of one room, with a double bed, another 2 beds and a bathroom. 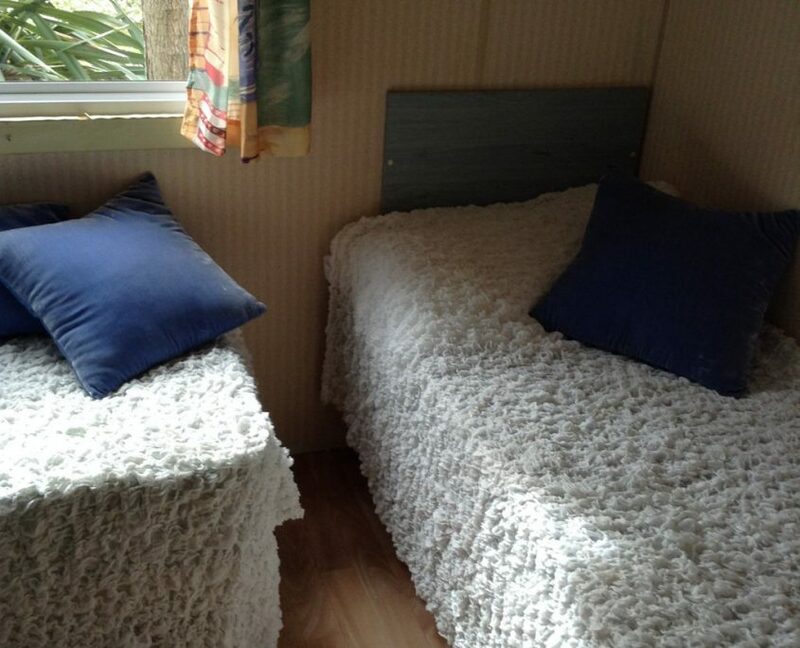 Excellent solution for tourists who want to sleep in the cool of the plane trees, on the shore of the lake. 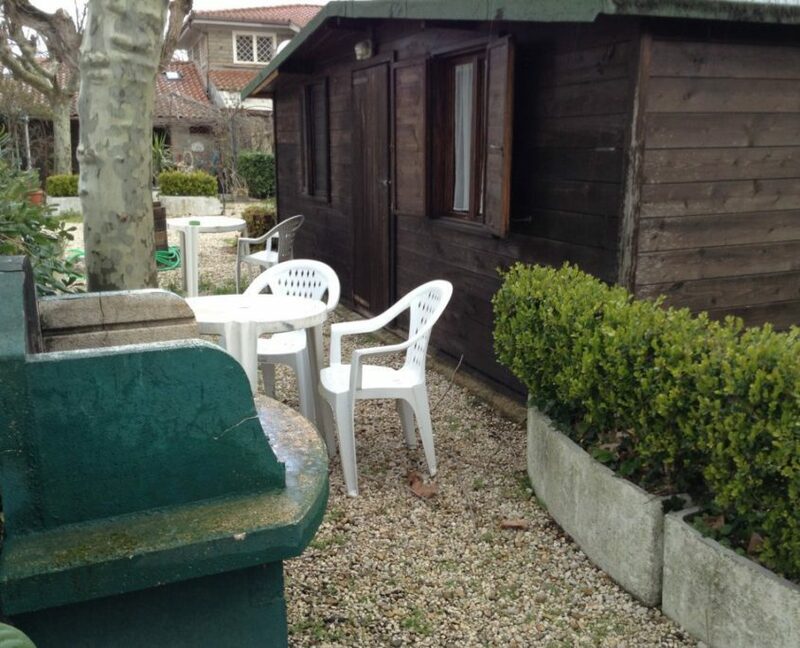 Small outdoor area equipped with table, chairs and barbecue to spend pleasant moments outdoors. 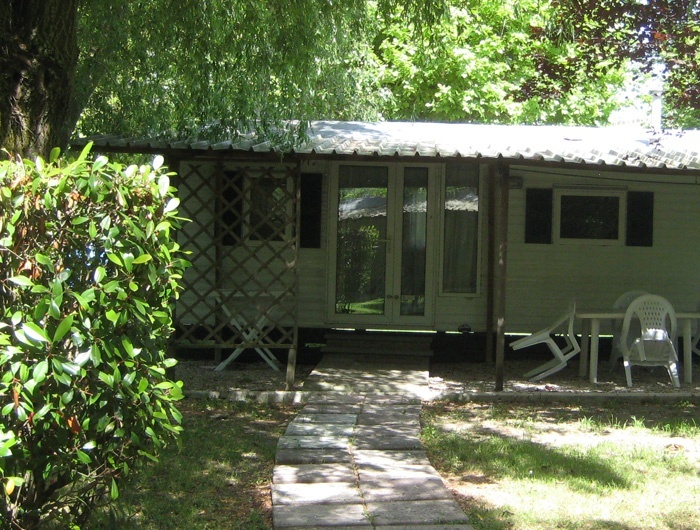 No pets of any size are allowed in the bungalows.